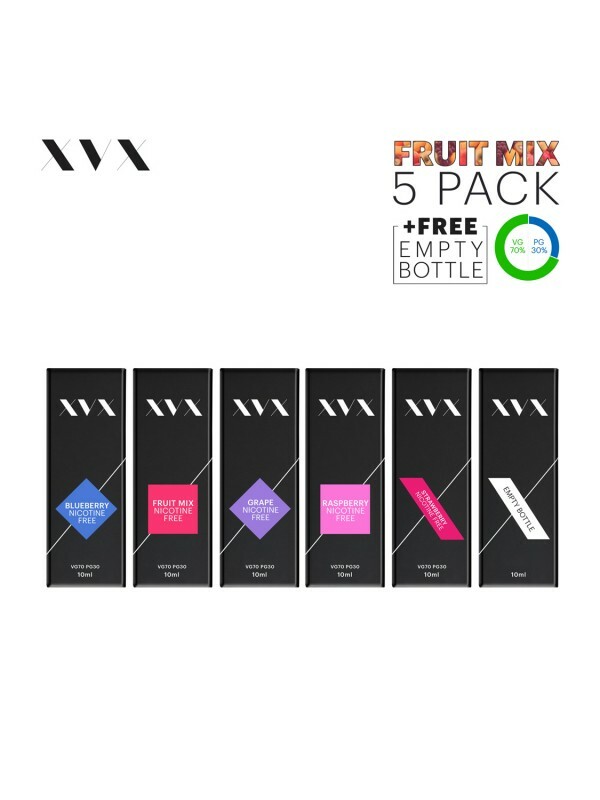 This listing is specifically for The XVX E Liquid Fruit Mix 5 Pack - 5 x 10ml Bottles with Needle Tips. The XVX E Liquid gives you the best quality and flavour profile possible with XVX's range of nicotine free e-Liquids for your refillable e-cigarette.XVX sources the highest grade raw materials, natural extracts and pharmaceutical grade ingredients.XVX E-Liquids are manufactured with advanced production techniques and quality control processes which enables conformity to the highest international pharmaceutical standards. 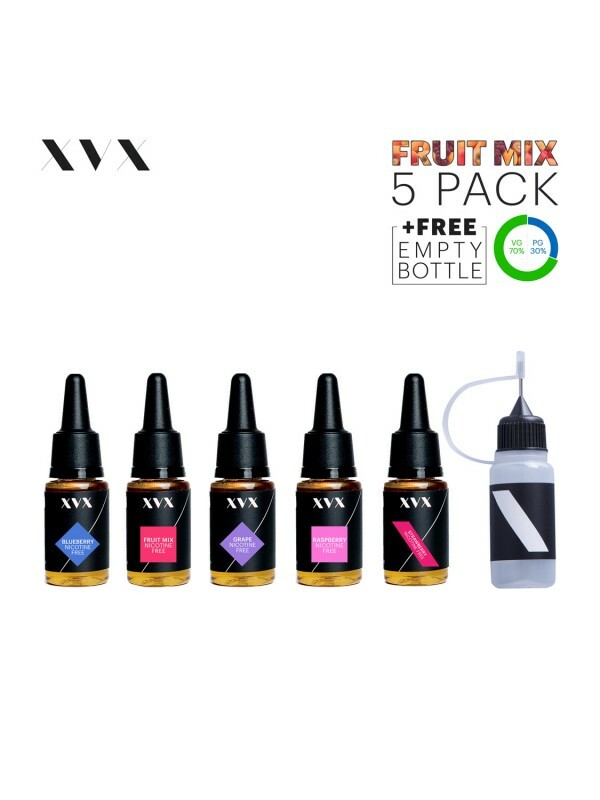 For best vaping results all round, XVX eLiquids use a 70% VG to 30% PG mix, this is to give the best balance of flavour and use with pro tanks and high quality vapourisers which are not best suited with PG heavy eLiquids.